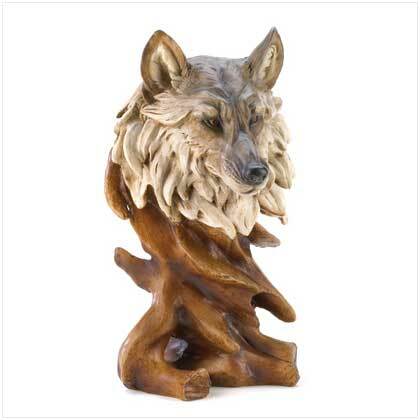 Wonderful faux-wood sculpture captures the majestic Timberwolf in all of his wind-swept beauty! Rustically styled to exactly resemble a hand-carved artisan treasure. Powderstone and polyresin. 6 1/2" x 6 1/4" x 11" high. 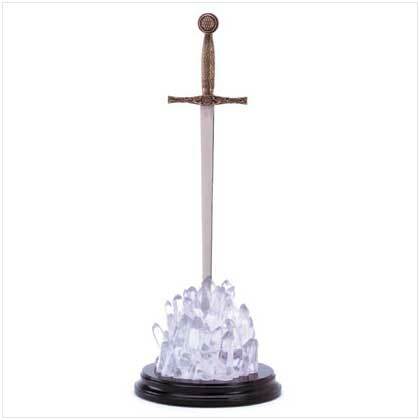 Retail Price: $34.95.